This 1:16 scale replica of a Caterpillar Excavator is just like the real thing! 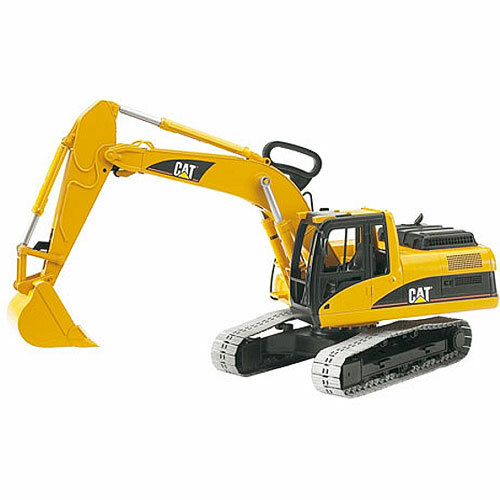 Realistic details include individually linked tracks for real movement and sound, an easy-to-use shovel arm with removable bucket that is operated with a handle, a cab that rotates 360° and a hood that opens to reveal the ventilator grill. There are even some included rubber inserts that attach to the tracks to give them grip on slippery surfaces like tile or linoleum.